National Spokesperson for Malawi Police Service, James Kadadzera, said on Monday in a statement that they have unearthed evidence linking Banda to abuse of office and money laundering cases. Kadadzera said the arrest warrant was issued in February 2017 and that they that though it is not standard procedure for Malawi Police Service to make public arrest warrants of suspects, the statement has been issued to serve the general public’s interest as per the magnitude of the cashgate cases. 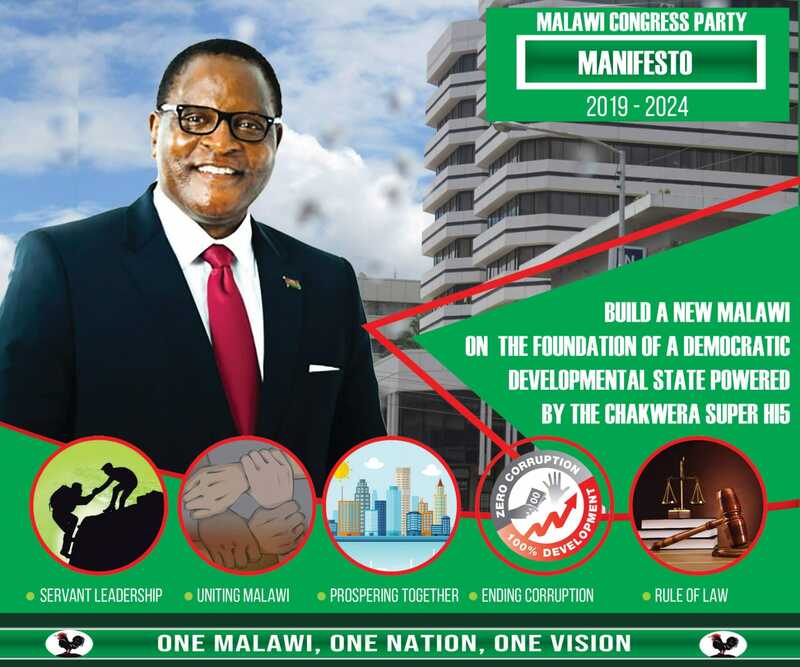 He said since Banda is in self-imposed exiled, Malawi Police has notified International Police (Interpol) that former Malawi president is wanted in Malawi on financial crimes. But PP acting president Uladi Mussa said the party was not aware of the arrest warrant against their president. “On any arrest warrant , there should be solid evidence that is going to lead to a successful prosecution. But Police are basing their case on hearsay upon hearsay from Cashgate convicts,” Mussa said. He said the Cashgate affair is now being exploited by ruling Democrtaic Progressive Party (DPP) administration to distract attention on social economic woes motivated purely by political gesture. PP administrative secretary Jospeh Chikwemba also said the arrest warrant was isused to serve political purposes. “This arrest warrant has been disclosed to fight political battles,” Chikwemba said. Taking it on Facebook, Mzondi Lungu argued that the arrest is politically inspired. “A few days ago APM [President Peter Mutharika] said former president Joyce Banda is welcome to come home, there is no political witch hunt and victimisation. He was actually lying as he always does, this warrant of arrest for her shows how much he is afraid of Dr Joyce Banda’s return and run for presidency. “There is something to note about the Mutharikas, they have tendency to implicate political enemies with fake charges starting from Cassim Chilumpha who was arrested by Bingu, Atupele Muluzi, (Bakili Muluzi who now has no choice but support APM to avoid a such arrests), Ralph Kasambar, Kamlepo Kalua all these at some point were arrested on fake charges by the Mutharikas. Unnecessarily this will end up into billions of compensations due to careless decisions by government for the sake of politics,” Lungu wrote. Former budget director Paul Mphwiyo’s shooting outside the gate of his Area 43 residence in Lilongwe on the night of September 13 2013 led to revelations of the plunder of public resources at Capital Hill widely known as Cashgate. Former President Banda ordered a forensic audit undertaken by British firm, RSM ( formerly Baker Tilly), covering the period between April and September 2013. The audit established that about K24 billion was siphoned from the public coffers through dubious payments, inflated invoices and goods or services never rendered. Police Handling a case of Abuse of office? Ayi ndithu Chitani Manyazi akuluakulu a DPP. Where is ACB if Police is Handling such a case. Shame Shame Shame you guys. Let her come and face the law.ndale za chani,if she never committed any crime the courts will acquit her.Why is she running away for God sake.Abwele and like any other cashgate suspect must be brought to court,and basing on evidence tendered in court,they will decide whether she has a case to answer or not.We have had enough of our so called leaders stealing our taxes. If she is innocent the court will say that. If she is suspected let her clear herself. No person on earth is special before the law. If one is innocent there is no need to fear the law. This arrest is really politically motivated. It is only someone who pretends to be mayopic who can not see this fact. A lot of people have been arrested in Malawi for political purposes and their cases have died natural death. It is typical of our politicians. The Malawi Police are remote controlled and they have no choice by to dance to the tune of those in power. Let her prove her innocence in court just like everybody else. who is stuffing her stomach with food? Mwina ndalama zakuba zomwezo. Arrest the fat thief!!! “Jb’s bootlicker Mzondi argues her warrant of arrest or Bantu Times writer furious and confused of Masters arrest. Why she dissapeared just after elections? Is she running away from prosecution? If she is innocent she wouldn’t have bn in self exile. Come back challenge the cases against u then chill out lady . pali chanzeru apa Amangwetu? Mzondi wataninso? ndiye ziti izi?